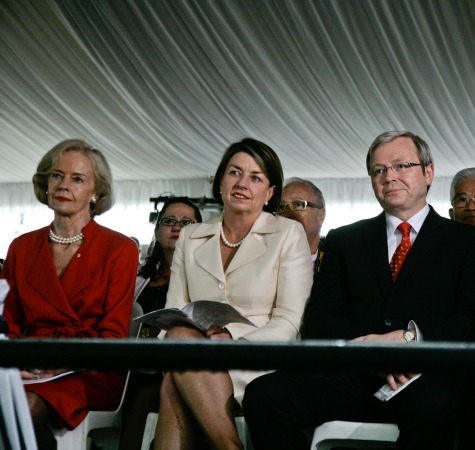 Today marks the 10 year anniversary since the new Mater Mothers’ hospital was blessed and officially opened, with public and private services commencing care for women and babies, and their families in the new Hospital on Wednesday 4 June 2008. The result of a four year construction period, the state-of-the-art maternity facility featured 88 public and 90 private maternity beds and 16 birthing rooms. An expanded Neonatal Critical Care Unit with 79 cot spaces, including intensive care and special care cots, making it one of the biggest Neonatal Critical Care Units in the nation. 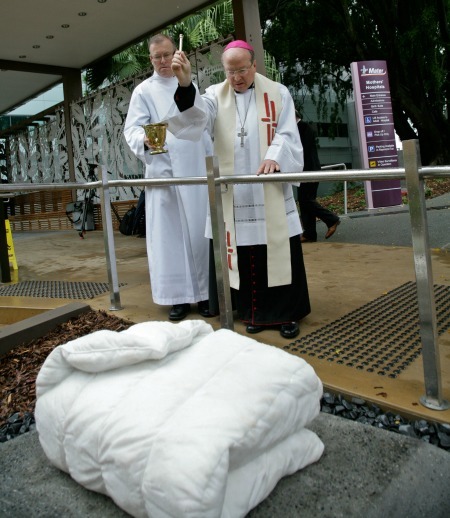 The Foundation Stone was placed at the entrance to the new Mater Mothers’ Hospitals. The eiderdown blanket is a symbol of comfort and care. The illusion of carved soft folds, beading and crumpling of the cloth eludes to the Mater’s values of mercy, dignity, quality, commitment and care. Using the local Northern Queensland white marble, the artist, Alexander Seton, carefully carved the illusion of softness, so that to the casual eye the blanket appears to be real – welcome, soft, warm and inviting. Over the last 10 years Mater Mothers’ has welcomed 96 719 babies and is well on its way to 10 000 births for 2018.